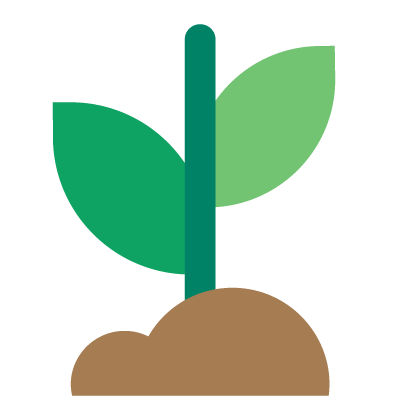 Plant growth and reproduction are driven by photosynthetically-active radiation (PAR), which occurs at wavelengths between 400 and 700 nanometers. This interval covers three distinct “color” bands of light, and modifying the intensity of these red, blue, green wavelengths, and additional near-UV (380-400 nm) and far-red (700-780 nm) bands can provide control over a variety of plant characteristics. The precision linear image sensor of the LI-180 captures intensity and composition of these five wavebands at the single-nanometer level with a single click. 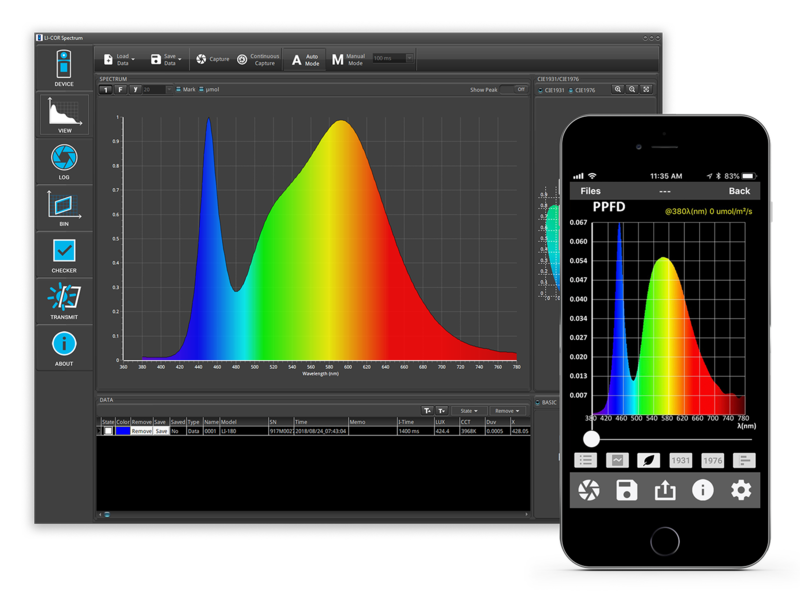 Optimize the composition of your supplemental lighting and track your spectrometer data over time for long-term validation of your lights and lighting strategy. Monitor degradation of your custom lighting system and plan for seasonal changes or upgrades. Modifying specific wavebands can accelerate growth and increase total fruit and vegetable yield, influence flowering, and increase maximum harvestable biomass of leafy greens and herbs. Strategically modifying the spectral composition of your lights can improve the taste, nutrient content, and chemical composition of your fruits, vegetables, leafy greens, and herbs. Spectral changes can also affect stalk, leaf, and flower growth and distribution for ornamental plants. 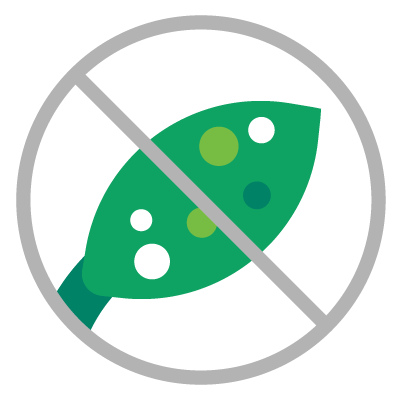 Increasing specific wavelengths of light can inhibit the growth of and minimize the damage from mildew and other diseases common to greenhouse plants. Why Choose the LI-180 Spectrometer? 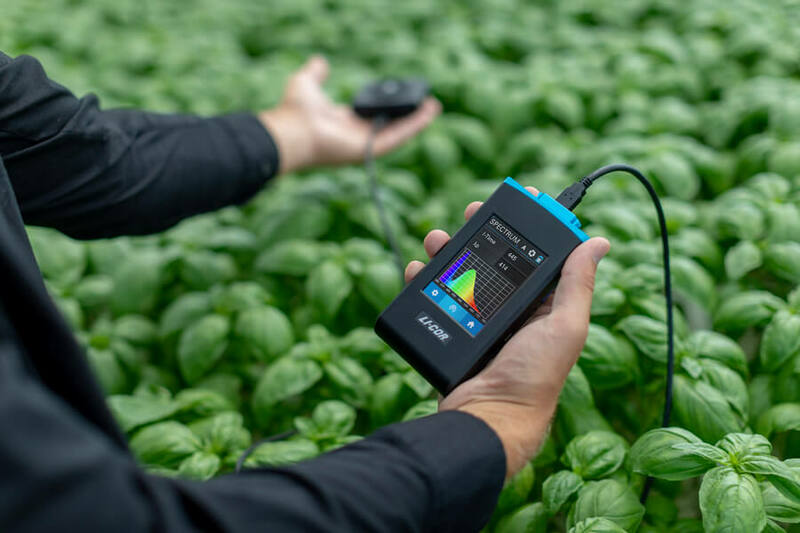 The LI-180 provides precise, portable spectral measurement technology with flexible software options ideal for a greenhouse grower always on the move. Get actionable insights in seconds. Collect multiple captures to measure changes from spectral manipulation, height adjustments, and plant positioning changes in real-time. 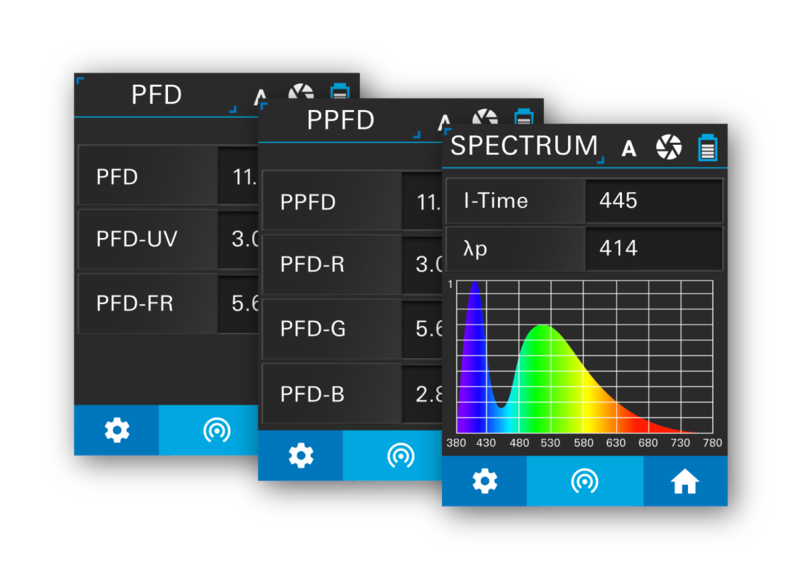 With a single click, the LI-180 captures dozens of parameters including PAR (as color-specific photosynthetic photon flux density (PPFD)), photon flux density (PFD), irradiance (W/m2), and more. 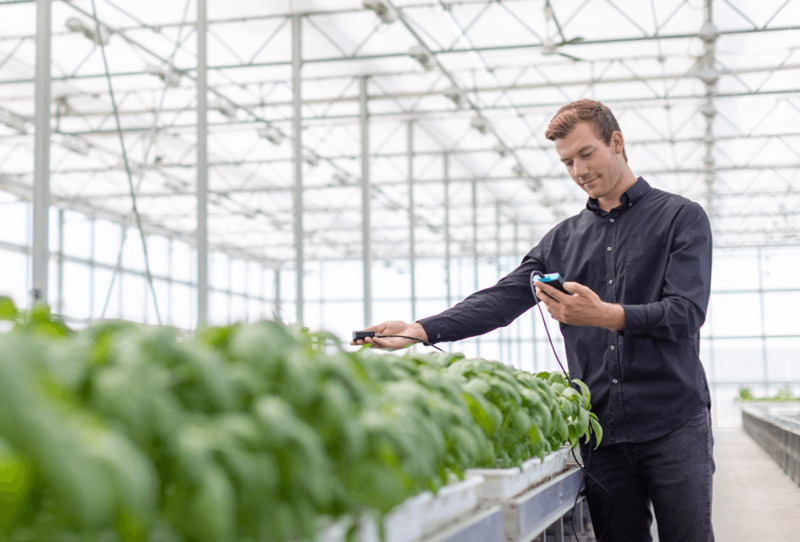 Quickly deploy your light recipes and adapt your dynamic lighting strategy for species-specific responses across your greenhouse with instantaneous spectral feedback. View a variety of tabular and graphical outputs immediately after capture and create custom views to see your variables of interest. 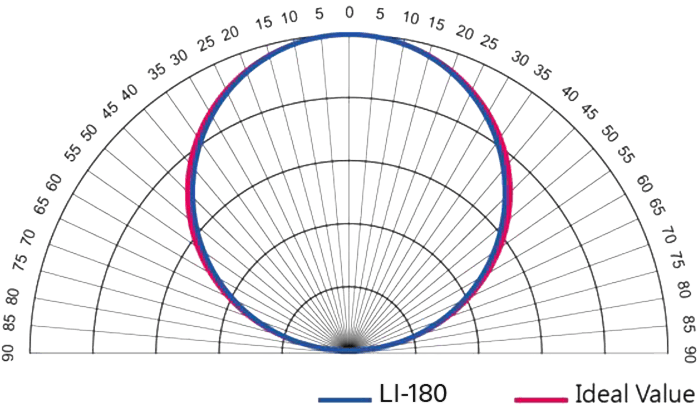 Measure your light sources from a variety of angles in and around your plants to optimize spacing and distance of supplemental light. 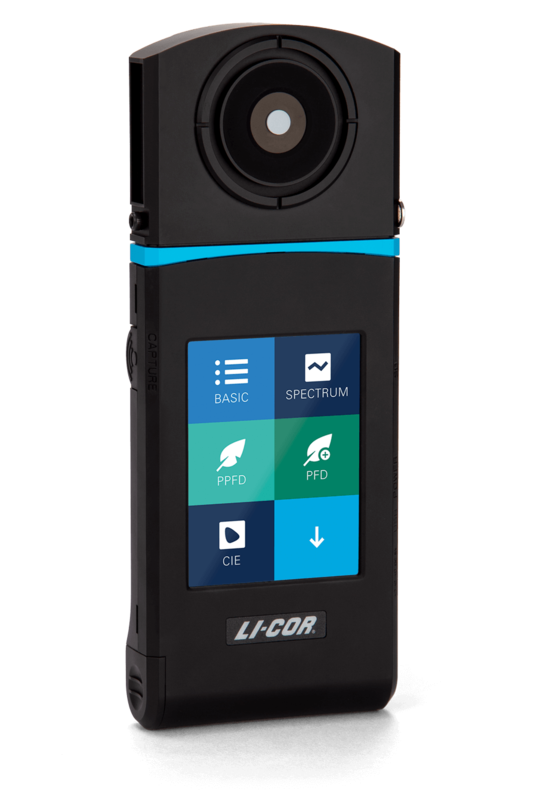 The full functionality of the LI-180 is contained within the compact, lightweight instrument that fits in the palm of your hand. Save your data to a high-capacity SD card or transmit data files via email from the mobile application. 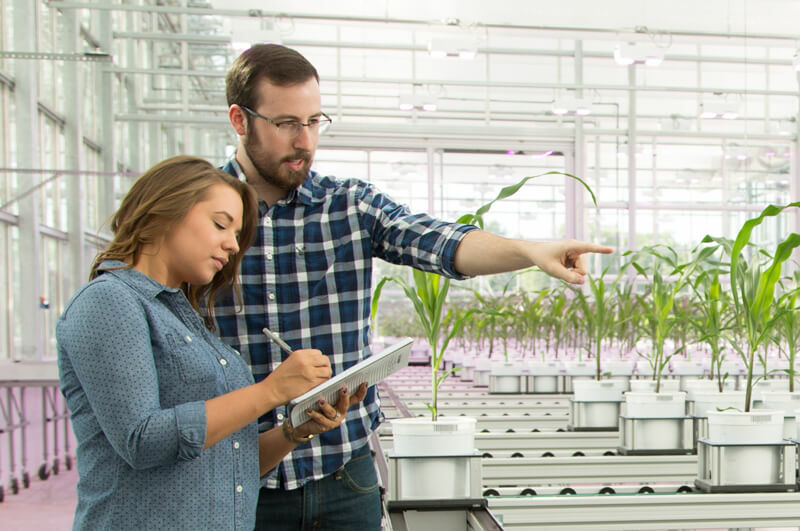 Experienced support staff with diverse backgrounds in horticulture, plant physiology, and other fields are readily available to provide support in your use of LI-COR instrumentation. The LI-180 spectrometer features a precise CMOS linear image sensor that captures photon flux density (PFD) in 1 nanometer increments (12 nm bandwidth) between 380 and 780 nm. The LI-180 sensor measures with a precise cosine correction response for accuracy across the field of view. The precise cosine response of the LI-180 allows for accurate indoor measurements with multiple direct and indirect light sources. The LI-180 features multiple software options for flexibility and performance. 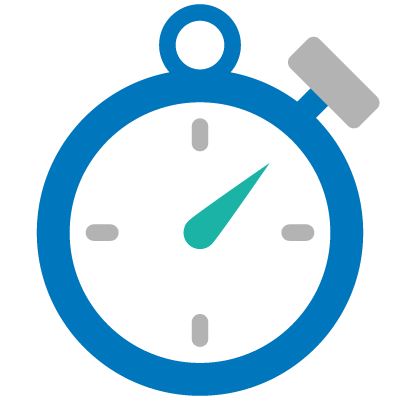 Configure continuous or timed capture and visualize your spectrometer data from within the desktop software. Available for iOS and Android mobile operating systems. 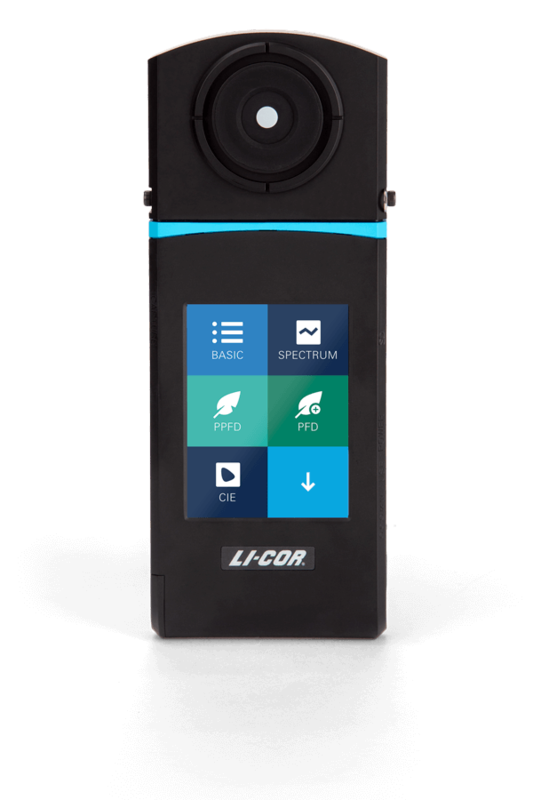 Use your smart phone or tablet for instantaneous measurements and transfer data between your email and LI-180 spectrometer. Illuminance Meter Class: Directional response conforms to JIS C 1609-1:2006 for General Class AA. Directional response conforms to DIN 5032 Part 7 Class B. Stray Light: -25 dB max. Ouzonis, T., Rosenqvist, E., Ottosen, C. (2015). Spectral Effects of Artificial Light on Plant Physiology and Secondary Metabolism: A Review. HortScience, 50(8), 1128-1135.